The Sisters of St. Ann Archives is a private archives that preserves the Sisters of St. Ann’s legacy in the west, as well as records of their community, institutions and art. 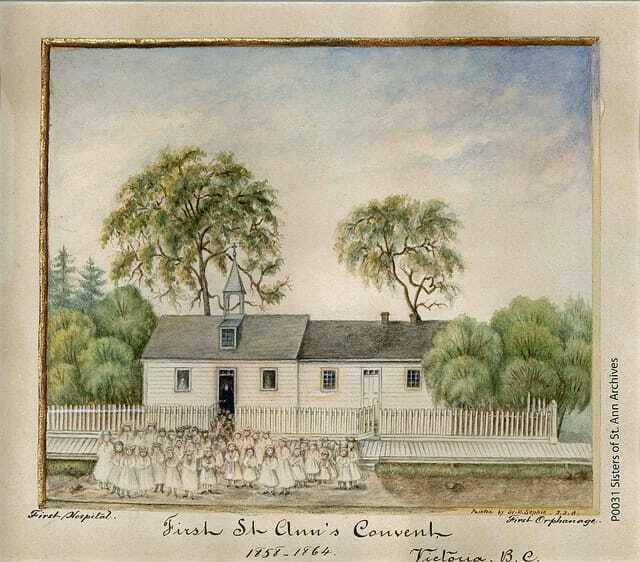 The Sisters of St. Ann Archives is located at the BC Archives but is preserved and managed by the Sisters of St. Ann. This archives constitutes a separate and distinct body of records within the holdings of the BC Archives. The Sisters of St. Ann are a congregation of religious women. They were founded in 1850 in Vaudreuil, Quebec, by Marie Esther Blondin, now the Blessed Marie Anne Blondin. 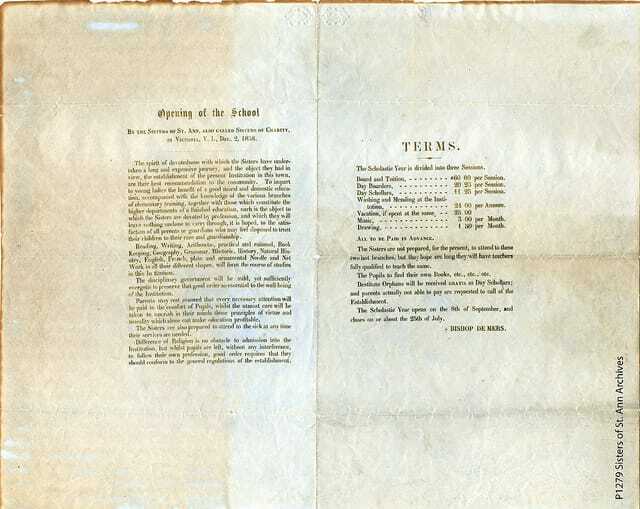 On June 5, 1858, four sisters and a laywoman arrived in Victoria to begin educating the children of the colony. Their arrival coincided with the Fraser Canyon gold rush, and the sisters responded to changing needs in the community. 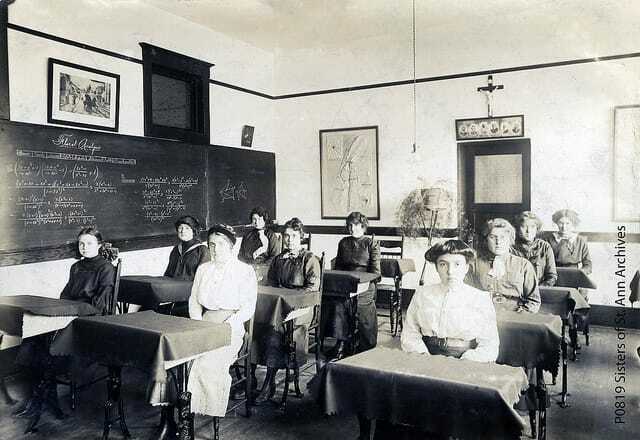 They lived in a log cabin, which eventually became their first school, open to both Indigenous and settler children. 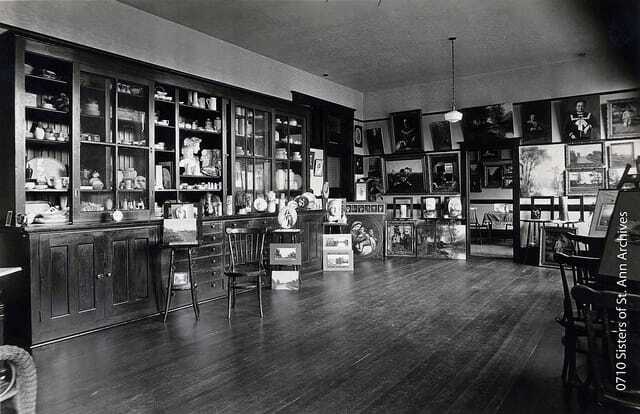 The school flourished, necessitating various additions and relocations. 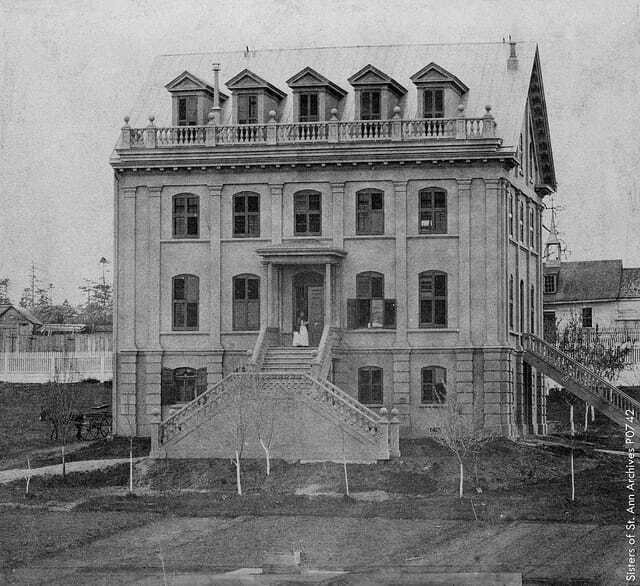 In 1871 the sisters built the first wing of what became St. Ann’s Academy, now a National Historic Site. 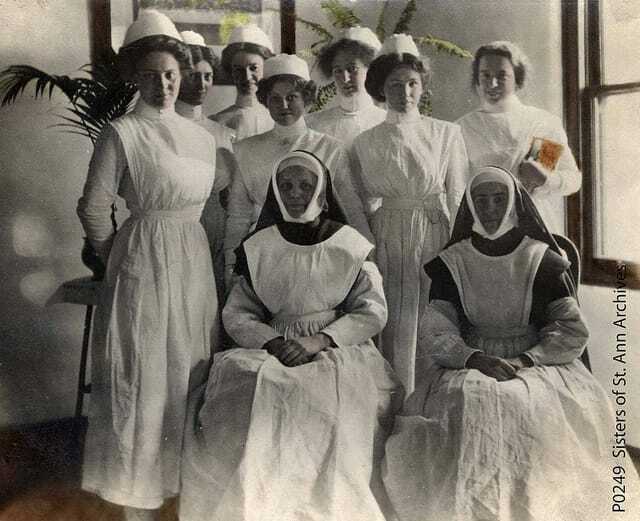 Throughout the years, the education and health care provided by the Sisters of St. Ann in Victoria established them as a vital and important part of the civic community. 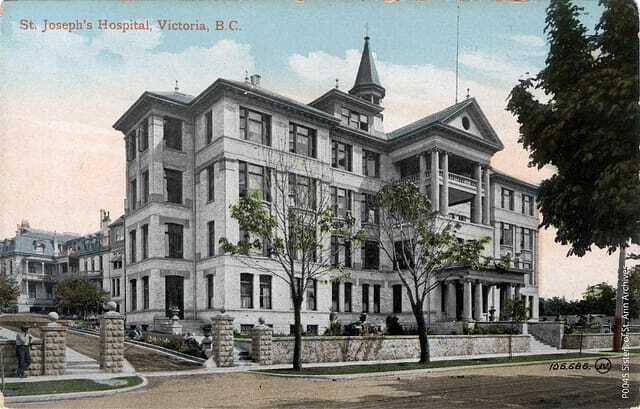 After their arrival in Victoria, the sisters founded schools, hospitals and a broad range of programs in communities throughout what they called St. Joseph’s Province—BC, Yukon, Alaska and Washington State. To find out more or to access the Sisters of St. Ann Archives, please call or email to make an appointment.